For fans of vintage racing and antique boats, save the date for a special outdoor event this July! The grounds of the Dossin Museum will host an array of historic racing runabouts and hydroplanes. Many of these crafts are included in the Vintage Outboard Race Boat Register. 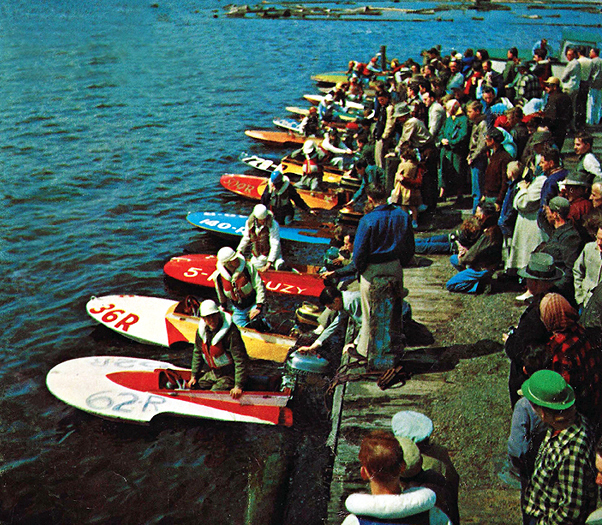 Others participate in events of the Vintage American Outboard arm of the American Power Boat Association. It is anticipated that some beautiful inboard racing hulls will be on hand, too. It is the first time in many years that classics like this will be displayed alongside the Dossin family’s beautiful Miss Pepsi, on permanent display at the museum.